Lunella Lafayette is a preteen super genius who wants to change the world -- but she's learned the hard way that it takes more than just big brains. Fearful of the monstrous Inhuman genes inside her, Lunella thinks life can't possibly get more complicated -- until her world is turned upside down again when a savage, red-scaled tyrant is teleported from prehistoric past to a far-flung future we call today. 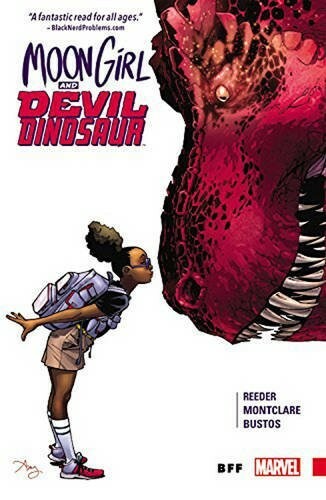 Can she and Devil Dinosaur defeat the villains and save the day...all while Lunella has to put up with a normal school life? In this graphic novel, they're the most amazing Marvel Team-Up! 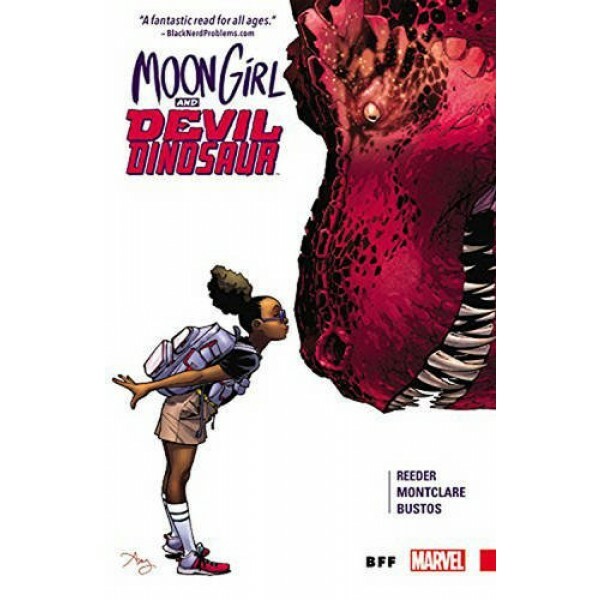 This volume collects Moon Girl and Devil Dinosaur issues 1 to 6.